The Department of Adult and Pediatric Otolaryngology at the University Hospital Saarland offers the full range of services in this medical field. The department has the very latest diagnostic methods, as well as the whole arsenal of effective conservative and surgical techniques for treating neck, nose and ear diseases. In addition, the areas of specialization include audiology (examination of hearing impairments) and neurotology (diagnosis and treatment of dizziness). The department is headed by Prof. Dr. med. A special focus of the department is the treatment of oncological diseases of the head and neck, which begins with medical advice and comprehensive examination (including endoscopic examinations). Then the doctor analyzes the examination results, and in many cases, prescribes high-resolution ultrasound. Also, in the appropriate indications, the patient should undergo a histological examination, after which an optimal treatment strategy is developed within the framework of an interdisciplinary tumor board with the participation of radiation therapists, oncologists, head and neck surgeons, radiologist and other specialists. It should be noted that the department performs many surgical procedures with the help of the innovative robotic system Da Vinci, which is known for its precise, miniature tools, from 5 to 8 mm in size, attached to the mechanic arms. The mechanic arm is also fitted out with video equipment – an improved high-resolution 3D camera with a stereoscopic view. Surgery with the Da Vinci robotic system has several advantages: minimal pain, minimal blood loss, lack of scars, and good cosmetic results. In addition, the department has a state-of-the-art Sleep Laboratory, which examines and treats sleep disorders, for example, obstructive sleep apnea syndrome, snoring. Sleep problems not only worsen the quality of human life, but also lead to serious disorders in the work of the heart, lungs and circulatory system (lack of timely treatment of sleep disorders can cause the development of a heart attack, heart arrhythmia, high blood pressure, high blood pressure in the pulmonary vessels, etc.). Testing can be done in the laboratory of the department or at home using a special portable screening device for analyzing sleep at home. Prof. Dr. med. 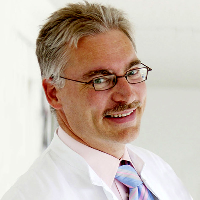 Bernhard Schick studied medicine at the Philipps University of Marburg, where in 1993 he received his doctorate. He had special training in otolaryngology at the Municipal Hospital Fulda, where he has also received a qualification in plastic facial surgery. Prof. Schick was the leading Senior Physician of the Department of Otolaryngology at the University Hospital Saarland in Homburg and the leading Senior Physician at the University Hospital Erlangen. In 1998 he was recognized as a Medical Specialist. In 2003, he had habilitation in otolaryngology and in March 2008 the doctor was appointed a Visiting Professor. Since 01.06.2008, the doctor is the Head of the Department of Adult and Pediatric Otolaryngology at the University Hospital Saarland. After the habilitation, Prof. Schick (in collaboration with the Leibniz Institute for Research on New Materials at the University of Saarland) developed a new transplant for the surgical treatment of hearing impairments. In collaboration with the Department of Biophysics, the professor is engaged in the study of neural monitoring of the inner ear functions. Department of Adult and Pediatric Otolaryngology.